Plot: An unusual set of circumstances brings unexpected success to a pop star. Starring: Natalie Portman, Willem Dafoe, Jude Law, Jennifer Ehle. 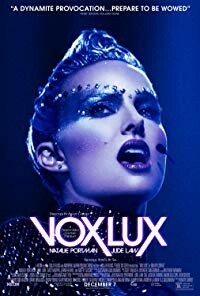 distributed by Neon «Vox Lux» in the US movie theaters released on December 7, 2018; dvd and blu-ray release date was set for March 5, 2019. Rent from Netflix and Redbox from March 5, 2019. «Vox Lux» in the UK has no theatrical release date. DVD and blu-ray release date is not available at this time.